Practice reading with I Love Magic! A child learns to do magic tricks, some successful, and others not. But Grandma always likes them. 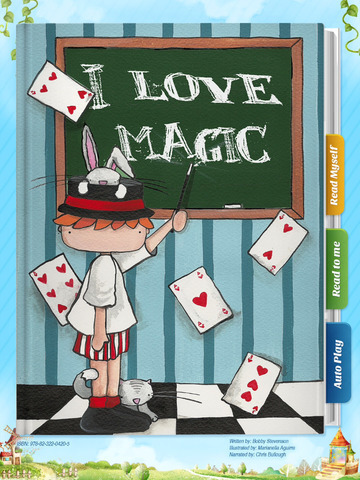 I Love Magic helps your kids learn to read with karaoke-style narration and callouts to discover new words! 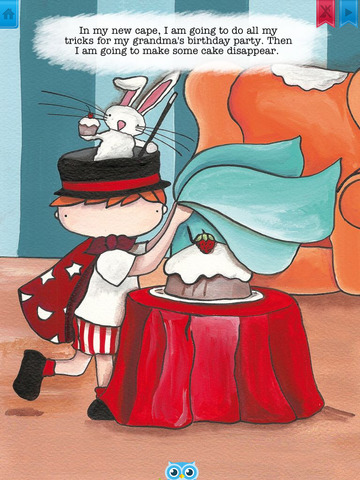 A child loves to do magic tricks, starting with simple tricks with coins and water, and someday moving to bigger challenges like turning a hamster into a unicorn, a brother into a frog, or a cat, giraffe, or elephant into nothing! For now the tricks cheer up Mom when she’s sad and make Grandma proud and happy. Grandma makes a special magic cape for the child magician to wear at her birthday party.